I was a teenaged page at the North York Central Library in suburban Toronto, working in the Business and Urban Affairs section, shelving books, taping together newspapers while we waited for their microfilm versions to arrive, and fiddling around with the newly installed (and poorly documented) computerised catalogue/lending system -- I worked there with many other would-be writers, like Nalo Hopkinson, who was a public service clerk a few floors down. 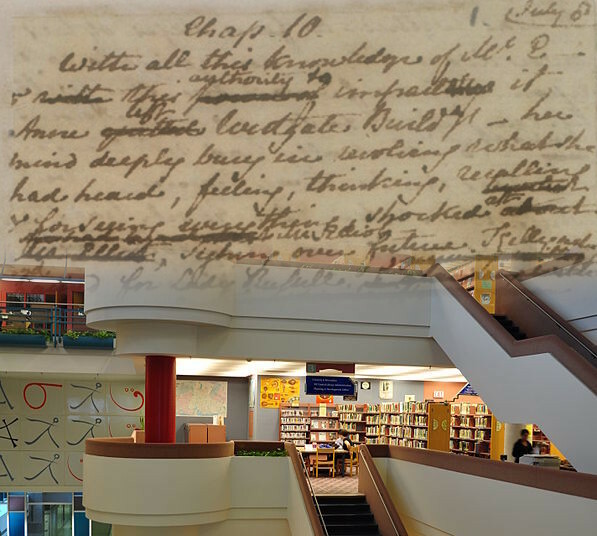 North York Central is now seeking a romance writer-in-residence for a two-month, CAD8,000 residency, which entails spending 14 hours (or more) per week at the library, undertaking "public readings, workshops, evaluation of submitted manuscripts, one-on-one and/or group meetings with writers from the general public, participation in social media and online forums, and other activities as agreed." I owe much of my own development as a writer to my one-on-one sessions with Judith Merril, who founded the "Spaced Out Library" (now the Merril Collection) to house the enormous library of science fiction and fantasy books she donated to the Toronto Public Library system; Judy mentored me and a whole generation of Toronto writers, and her legacy is felt to this day. This residency is a brilliant opportunity for a writer to develop their own craft in a fantastic hub of knowledge-sharing and community development -- but more importantly, it's an opportunity to perform a genuine service to literature and the arts in Canada.